OSHA On-Site Safety Training - Call 860-214-7402 to schedule training. Safety Aspects LLC is a trusted OSHA Safety Training partner for businesses, general contractors, and other organizations. We provide expert-level training to help you comply with the latest OSHA requirements. Jobsites, manufacturers and other facilities are hectic and busy, and by nature they can be dangerous places to work. We will help you reduce liability, risk and injuries — and improve OSHA compliance. If you have a group of people in need of on-site OSHA training please contact us to request a proposal. Trainees will receive handouts for their selected class, and your trainees receive official OSHA certificates of completion. For OSHA 10 or 30 hour construction and general industry classes they also receive the official OSHA Outreach Training wallet card for the specific course they completed. When OSHA safety standards and mandated requirements are violated on a jobsite, it’s not just a serious compliance issue. 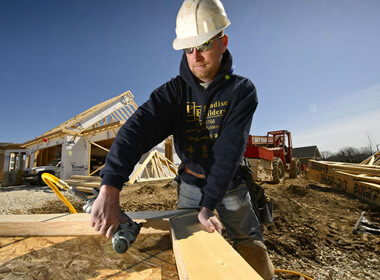 Worker health and safety is compromised, and when injuries occur this results in higher Workers’ Comp claims. Higher claims leads to increased insurance costs. And the lost man hours or an issuance of stop-work can be devastating, rippling out to every facet of the jobsite. On the other hand, a consistently safe, healthy and OSHA compliant workplace is much more cost-efficient and productive in every way. 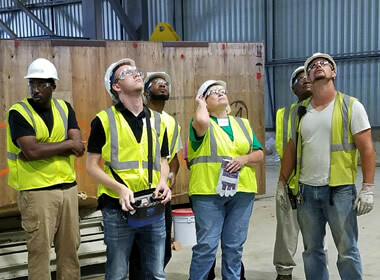 Setting a high priority for ongoing Professional OSHA Safety Training is an investment that really pays off for your business, for the project, and especially for your workers. Out of 4,379 total worker fatalities in private industry in calendar year 2015, 937 or 21.4% were in construction — that means, 1 in every 5 worker deaths last year were in construction. The leading causes of private sector worker deaths (excluding highway collisions) in the construction industry were falls, followed by struck by object, electrocution, and caught-in/between. These “Fatal Four” were responsible for more than half (64.2%) the construction worker deaths in 2015, BLS reports. *This category includes construction workers killed when caught-in or compressed by equipment or objects, and struck, caught, or crushed in collapsing structure, equipment, or material. Do you have questions about our safety training services? Give us a call – we’re here to help.